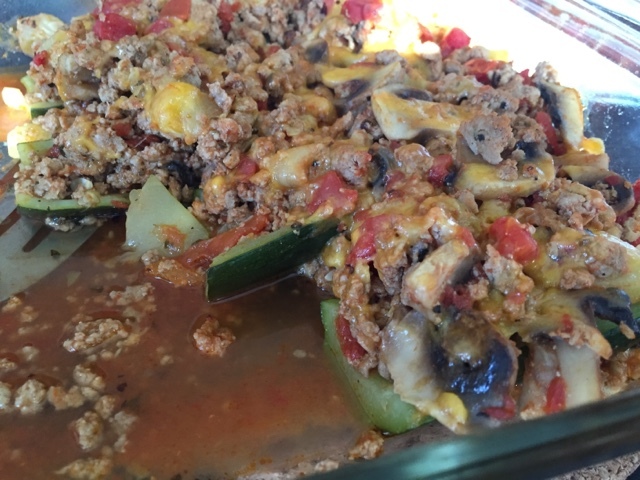 Turkey Stuffed Zucchini Boats - I LOVE zucchini! 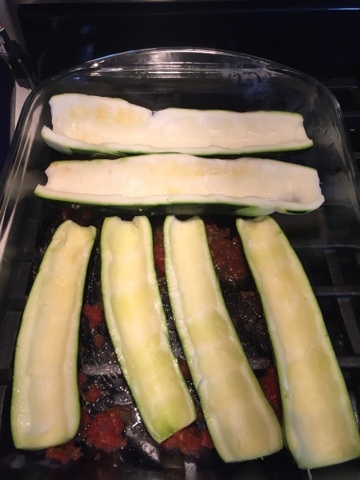 Place halved zucchini in shallow baking dish. 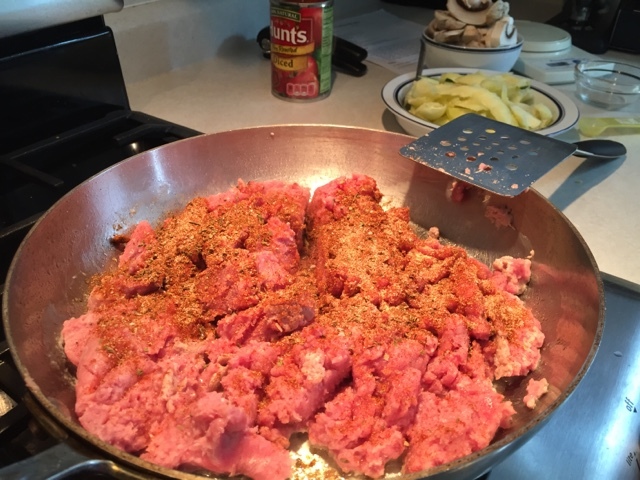 In skillet, brown turkey; add in seasoning and onion, saute for a few minutes. 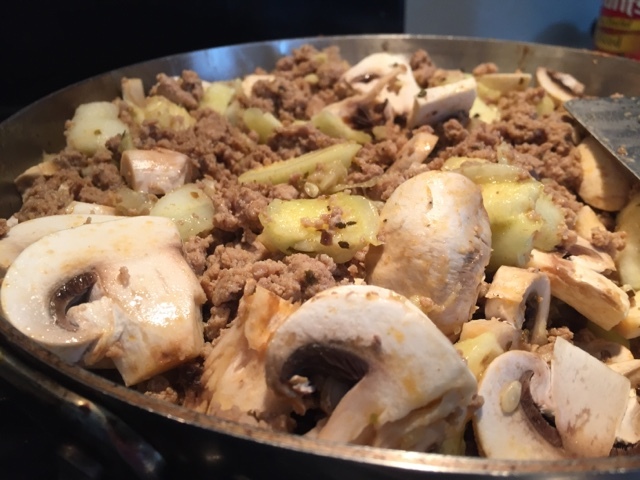 Then add in mushrooms and chopped zucchini insides. Once veggies are soft add tomatoes and simmer until warmed through. Then scoop filling out evenly into 8 zucchini boat halves. Sprinkle each boat with 1 1/2 Tbsp of mozzarella cheese each. Cover with aluminum foil and bake for 20-30 minutes. Optional to remove foil and place under broiler to brown cheese.